Small and compact for easy office storage. Ideal for cleaning office environments and equipment such as telephones, desks and visual display units. 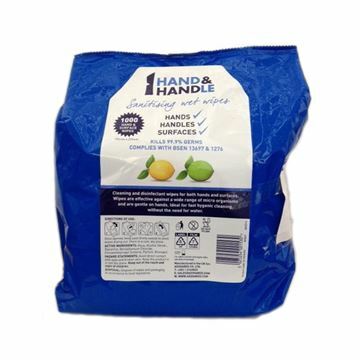 Heavy duty hand cleansing wipes for oil / grease / general grime. 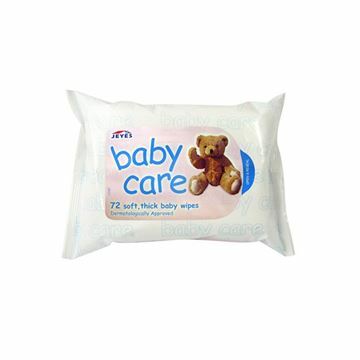 Created for delicate skin, baby wipes provide gentle cleaning just like cotton wool and water, perfect even for newborns. Made with natural fibres and purified water, they're free from fragrance and alcohol. 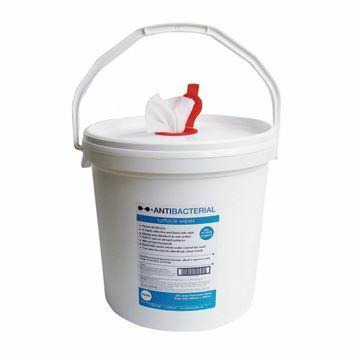 For use on any hard surface, Medisan wipes are effective against MRSA, E.coli and a diverse range of other micro organisms. 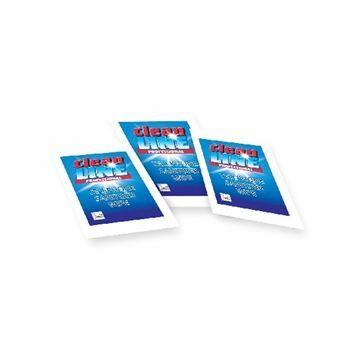 Packed into a resealable tub offering freshness and effectiveness right up to the last wipe. Ideal for use in the medical, beauty and healthcare industrial sectors. Remove unpleasant body grease and harmful bacteria from telephones. 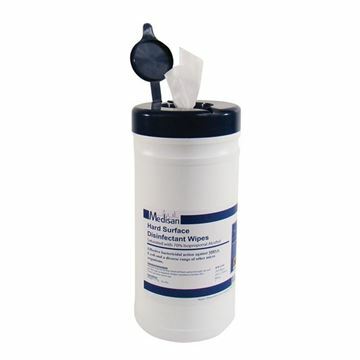 Large perforated wipes in a large bucket which are easily dispensed out of the flip up lid. With a strong handle, this product is portable despite its size, maximising efficiency and possible usage.